CompanionLink announced the first USB sync solution with Palm Pre. Before this solution, users had to sync data over-the-air or through their web-based Google/Gmail account. For many, this was an unnecessary step that they didn’t want to do. Also, users with sensitive customer data could not store their data in the cloud or sync via WiFi. CompanionLink for webOS USB is a new software solution that does a direct USB sync with Palm Pre using the MicroUSB cable that comes with the phone. Data is securely synchronized two-ways when the phone is docked to the PC. 2. Most smartphones have more than one way to sync with ACT! 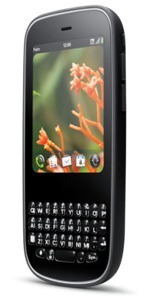 Palm today announced the second Palm webOS based phone – the Palm Pixie. The new phone will be availble during the 2009 holiday season in USA and will be priced lower than the Palm Pre’s $199 tag. It will have a keyboard and touchscreen functionality. CompanionLink will support two-way sync between Palm Pixie and PC software like Microsoft Outlook, Palm Desktop, Lotus Notes and ACT! from day one. The road show went great! People left with a clear understanding of what ACT! 2010 offers and how CompanionLink allows them to sync ACT! data with virtually any major smartphone on the market today. This broad compatibility with all smartphones makes CompanionLink unique. But how can people with free Google or Gmail accounts sync with Outlook? And what about support? Google says that the Google Apps Sync for Microsoft Outlook is for Premier and Education edition customers. So you can’t use that. CompanionLink has a solution for everyone using a free Google account. It’s called CompanionLink for Google. 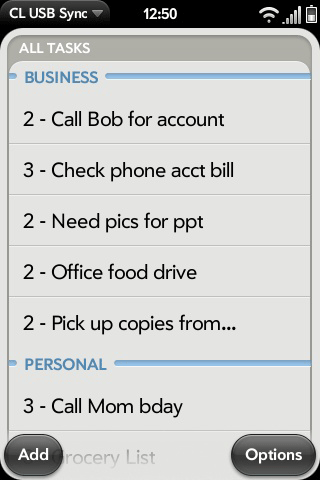 It syncs Outlook contacts, calendar and tasks (no email) with any Google, Gmail, or Google Apps account. CompanionLink works with all editions of Google Apps (Standard, Premier, Education, Government, Non-profits, etc.). The one-time purchase also comes with free email and phone support for as long as you own the product. The GigaOm network of blogs and technology enthusiasts use CompanionLink for Google. Recently, they blogged about our product and why they decided to use ours. Here’s the full blog post by them. Thanks GigaOm team and Meryl Evans for the review! We’ve partnered with Power of 3 Consulting for this road show. Here’s the full agenda here. Registration is free, and we’ll be giving away some goodies! Keeping private Outlook data out of ACT! 1. Keep your private contacts in a separate Outlook folder from your corporate contacts, then configure DoubleLook to sync only with the Outlook folder containing your corporate contacts. You can find this setting under the Outlook Folders tab in the DoubleLook configuration. 2. In Outlook, categorize your private contacts as “Personal”, then configure DoubleLook to ignore records in the Personal category. 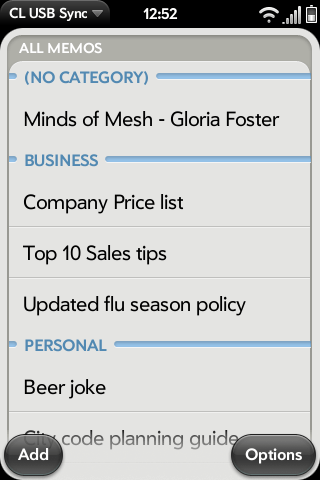 You can find this setting under the Personal Category tab in the DoubleLook configuration. 1. Keep your private contacts in a separate Outlook folder from your corporate contacts. 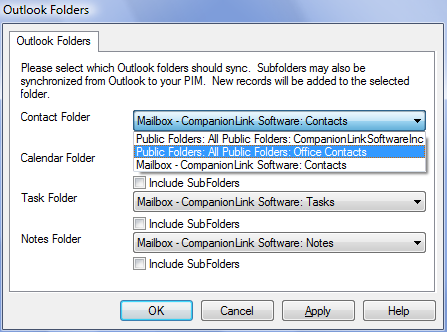 Then configure your CompanionLink product to sync only with the Outlook folder containing your corporate contacts. You can find this setting under the Outlook Folders tab in the software’s configuration. 2. In Outlook, categorize your private contacts as “Personal”, then configure your CompanionLink product to ignore records in the Personal category. 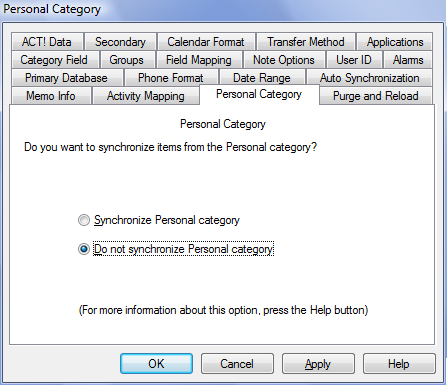 You can find this setting under the Personal Category tab in the software’s configuration.